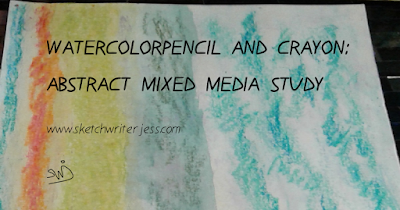 I am writing a series of posts about Mixed Media. 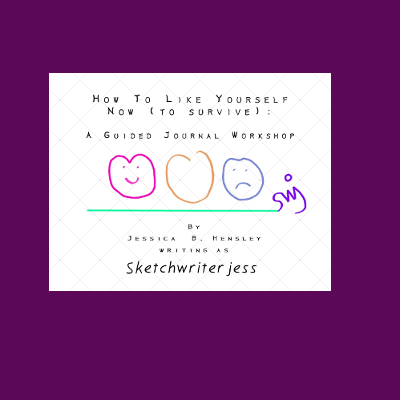 If you want to read my fresh take on Mixed Media you can go to my Tumblr Blog for extra insight on my Mixed Media Series. 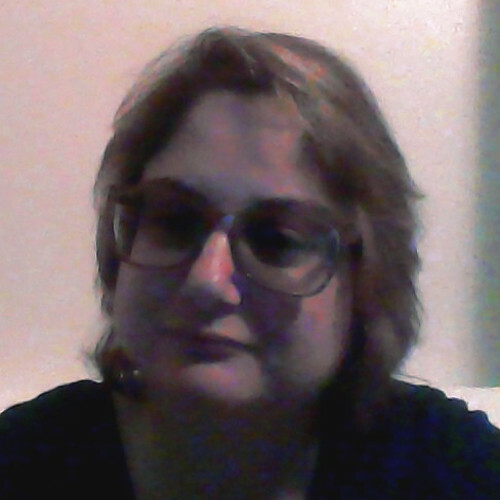 Fresh Reads about my mixed media art post Thursdayish on Tumblr. This post is about the technique of how to combine Watercolor Pencil and Crayon to form an abstract work of art that has depth and meaning. 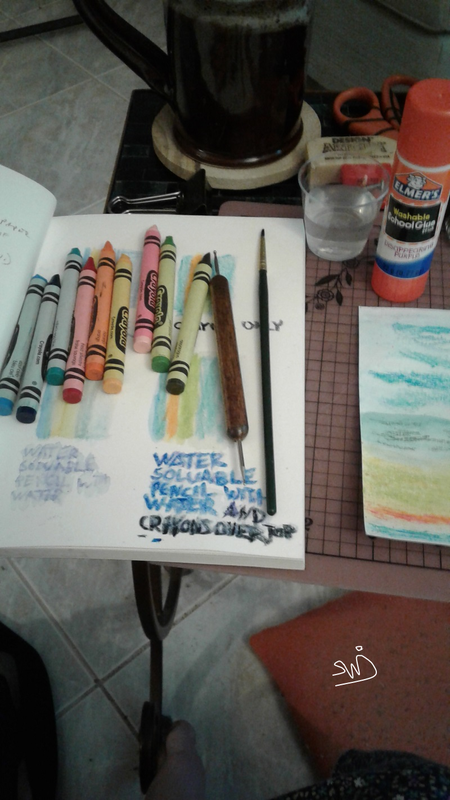 Materials used: Crayola Crayons, Fantasia Watercolor Pencils, Thin Small Paint Brush, Elmer's Purple Disappearing Glue Stick, Water, Cup for Water, Stylus, Mixed Media Paper. -Hold Pencil like a knife to color areas. 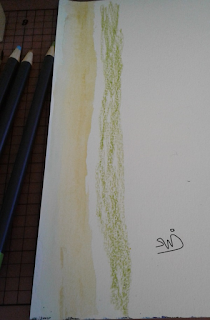 Color Down the page Vertically. 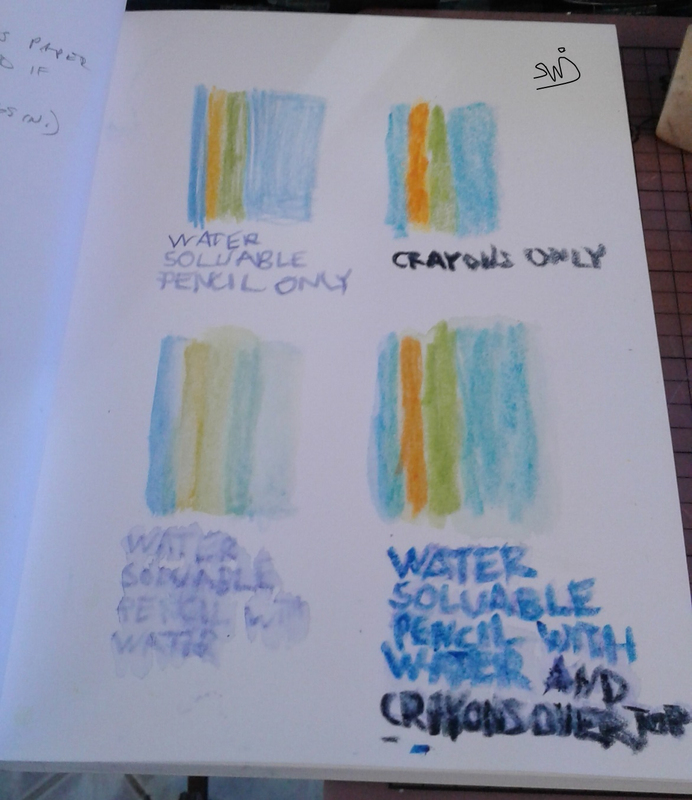 - Lay each color next to one another, then use paint brush dipped in water to wash over the pencil. 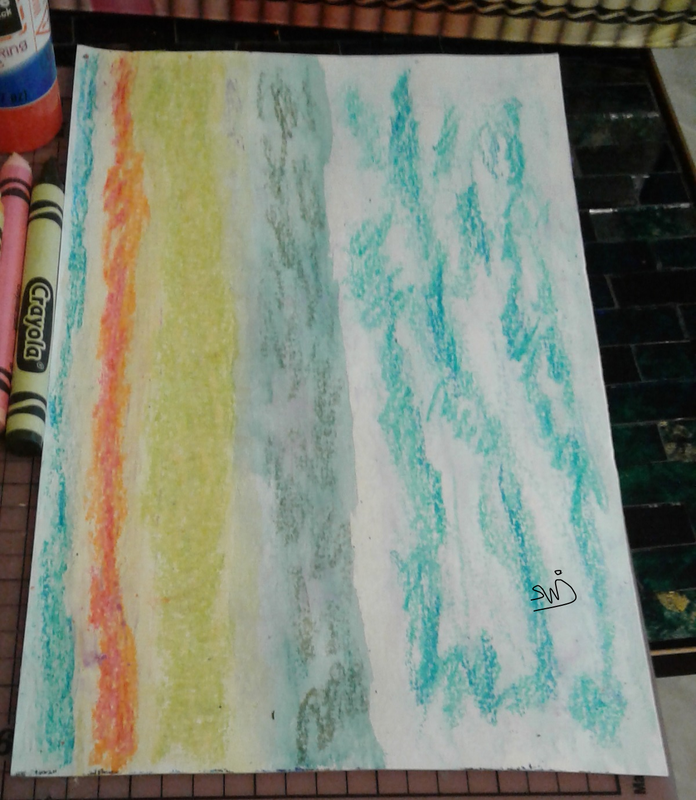 Let paper dry completely before adding Crayon. Add Crayon once paper is dry. Crayon can be layered upon itself by coloring one on top of another. Crayon can burnish crayons, A stylus can burnish crayons by rubbing the ballpoint on the crayon and smudging the colors together. Glue can be applied with the stick, then a brush dipped in water can wash over the glue and crayon. 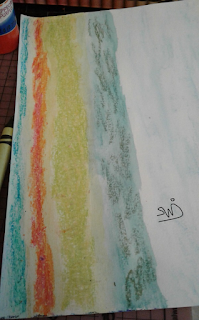 It lets the crayon run a little bit like watercolor, yet leaves thick and thin marks behind. I like the disappearing purple glue because you can see where the glue is placed so you don't put too much glue on the art work. 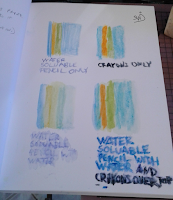 In fact, water can even be used alone for some outline effects. 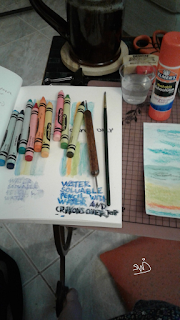 When all the crayons you would like to use are added, seal the art with glue, Then wash over the piece with the brush. 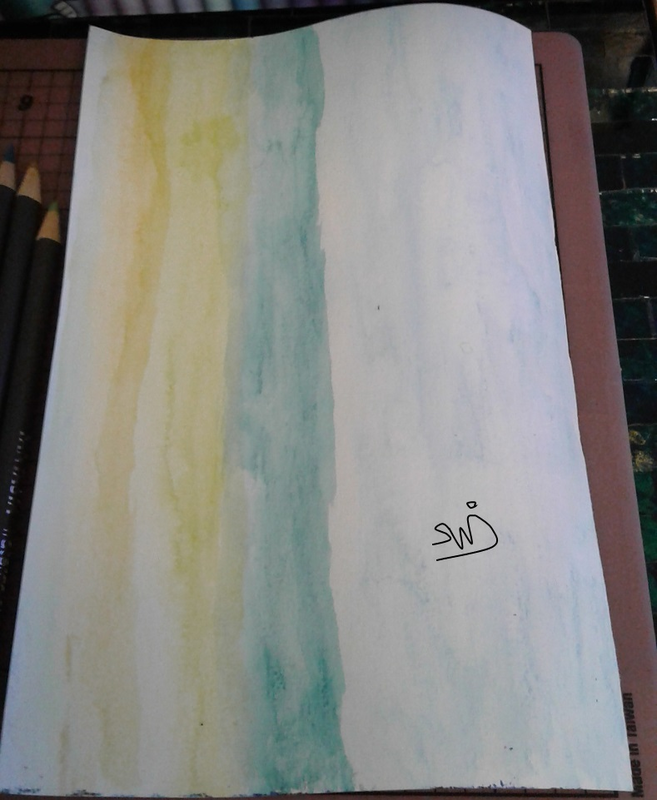 Turned sideways, to me, it looks like an landscape of ocean under a sky with some grass and sand. I call it "The Islands Ahead" I've signed it in Watercolor Pencil. I signed my name as the glue was drying on part of the paper. I'm curious to know what you think of combining these two media together. Do you find combining these media together add depth and meaning to art work? Even I could do that! Good job explaining the process. Thank you! If you try it, please post back in the comments to let me know how it turned out.